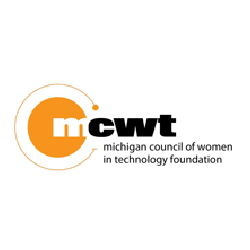 These local organizations are dedicated to growing the future tech workforce in West Michigan. Want to help? Connect with these organizations to mentor students, host an event or sponsor their efforts. 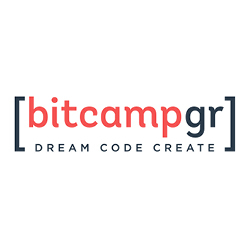 BitCamp is a day-long opportunity for 7th & 8th grade girls to learn what it's like to be a software developer through hands-on learning. IT professionals can participate as a mentor or host. This summer, coding bootcamp gives students the web development skills to build their own website. You can help make the academy accessible to students by sponsoring a camp. This after-school program is for girls in grades 6-12. Participants meet weekly to work on a project that uses computer science to solve a problem relevant to the community. This tech startup's mission is to close the diversity gap in the tech field by teaching programming to students in underrepresented areas. Get involved by volunteering your time and skills. This organization engages underrepresented communities in the tech industry by connecting inner city students to opportunities within the tech community. Get involved in one of their tech forums or career fairs. WMCAT empowers urban teens to affect social change by applying design thinking, arts and technology to critical thinking inquiry and practical application in the community. This group is working to grow the number of women and technology fields by inspiring girls and women to consider a career in tech. Get involved as a host or sponsor for Camp Infinity, a summer technology camp for girls in grades 5-8. This hands-on, job exploration event provides over 9,000 West Michigan middle and high school students with an opportunity to explore careers and meet in employers in four, high-demand industries. Get involved by having an exhibit in the IT sector, sponsoring or volunteering at the event.